An Ultra-Short Pulse Laser Applications Workstation specially designed for emphasis on ultra-short pulse processes for manufacturing. The Mundt DB-241218-7axis Laser Workstation Applications machine is an advanced manufacturing tool, with more built-in capabilities than any other machine available on the market today. The ultra-short pulse lasers (approximately 100 femtoseconds to 10 picoseconds) perform unique tasks in multiple industrial applications, particularly cutting, drilling, marking and other surface modification processes. Ultra-short pulse laser energy can ablate without heating, so there is no heat- affected zone. This machine allows seamless machining without stitching error over large areas. 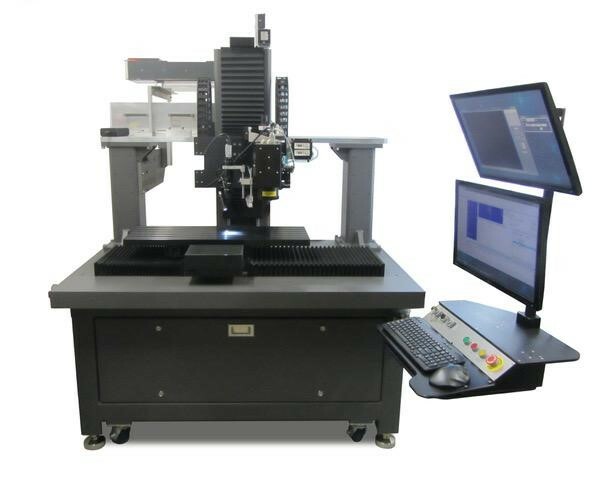 This new improved process & laser workstation enables more complex product designs, improves product reliability, and lowers operating costs overall. For more information, please contact Luis Garcia: 480.922.9365 | www.mundtinc.com.